Michiko Nakamura is a ceramic artist, born and raised in Japan. Her relationship to clay and art began in childhood; she grew up near a town famous for its history of over 1200 years of pottery production. Since elementary school, she liked to create three-dimensional objects so it was a natural choice for her to proceed to art university and work as an industrial designer in Tokyo. After immigrating to Canada, Nakamura opened a ceramic studio in Toronto to work as a ceramic artist. During four decades of artistic practice, her work has shifted from functional to purely sculptural pieces. 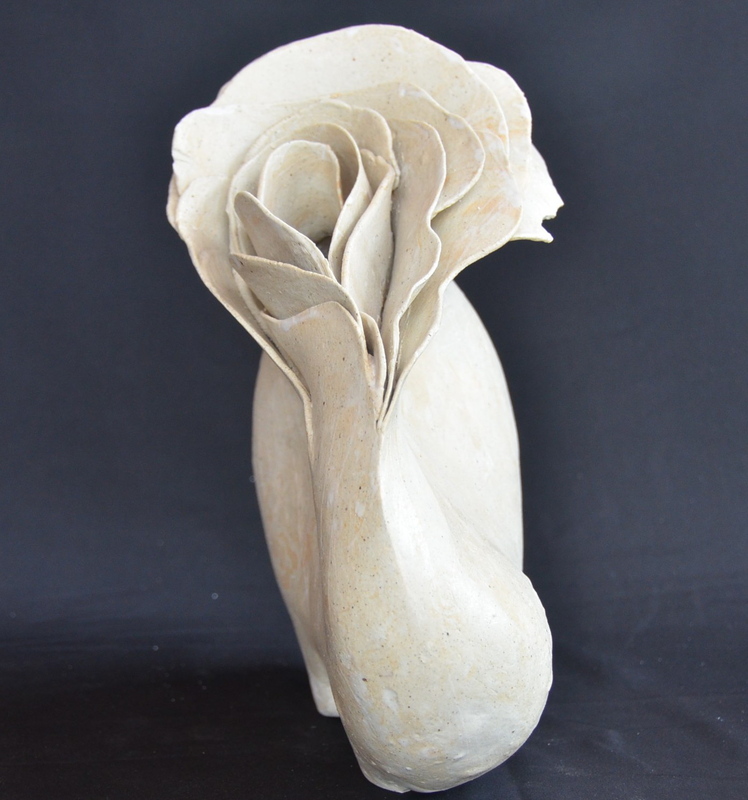 My work with clay reflects my appreciation of nature's elements and my ability to collaborate with earth, water, air, and fire, allowing the natural flow of life to inspire my abstract sculptural pieces. My creative process begins with meditation. I trust my intuition and senses to guide my hand, which transforms an inspirational seed into a sculptural form. 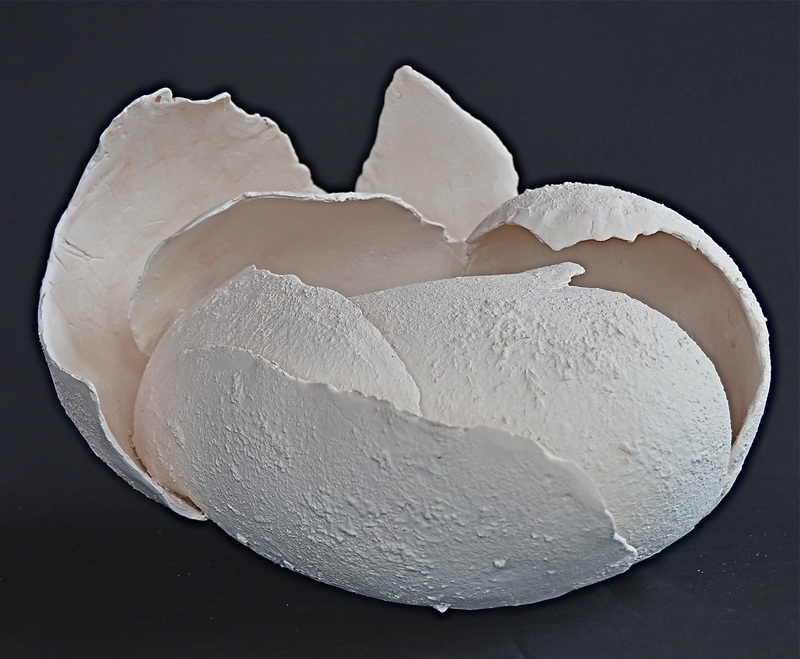 The form has a hollow structure with a thin and dense skin of clay. I pinch and pat, creating channels or caves to manifest the internal and external flow of energy. During the process of shaping, gravity will also transform my work by reacting with the soft, wet clay. This synchronized process with my hand and with gravity is one of the essential factors in visualizing the balance to the vortex phenomenon in my art. Now, I am working to create soaring, flying and flowing movements that balance in the space with the gravity which comes into play. To achieve the unseen destination in art, I have stayed focused and committed to maintaining harmony and optimal health in my physical and mental being. My art is in great part the foundation of my identity.